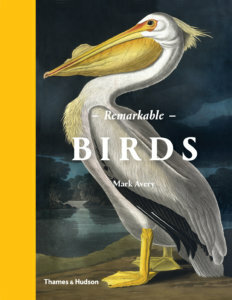 A review of Remarkable Birds, by Michael McCarthy, from Resurgence and Ecologist. bold-faced osprey of his British contemporary Prideaux John Selby. Not the least entertaining part of the book is his Introduction, an essay that might be subtitled ‘Birds and Why We Like ’Em’, a sort of beginner’s guide to the whole avian phenomenon, suitable for a visitor from outer space.